Explore the city of Aswan, southern Egypt’s long-standing strategic and commercial gateway, on this full-day bus and Nile River tour from Luxor. With an Egyptologist guide leading the way, this Aswan adventure features stops in the city of Edfu on the west bank, the agricultural town of Kom Ombo, the island city of Philae and Aswan. Some of the highlights include the Temple of Edfu, the Temple of Kom Ombo, the Aswan Dam and much more. Luxor hotel pickup and drop-off included. After a 7:00 am pick-up from your hotel or Nile Cruise in Luxor, you will be transferred by private a/c vehicle to Edfu City, where you will visit the Temple of Horus in Edfu. The Temple of Edfu is an ancient Egyptian temple located on the West Bank of the Nile in the city of Edfu around an 1 hour south of Luxor It was known in Greco-Roman times as Apollonopolis Magna, after the chief god Horus-Apollo. Edfu is one of the best preserved temples in Egypt. After you have completed your visit to Edfu, continue driving to Kom Ombo City where you will visit the Temple of Kom Ombo. It is an unusual double temple built during the Ptolemaic Dynasty in the Egyptian town of Kom Ombo. Some additions to it were made later during the Roman Period. The building is unique because its 'double' design meant that there were courts, halls, sanctuaries, and rooms duplicated for two sets of gods. Continue driving towards Aswan where you will have lunch in a local restaurant. After lunch you will be transferred to Phila Temple that was an island in Lake Nasser, Egypt. It was formerly an island in the first cataract of the Nile River and the previous site of an Ancient Egyptian temple complex in southern Egypt. End your day-tour with a visit to the High Dam that was constructed in 1961 by the President of Egypt, Gamal Abdel Nasar. 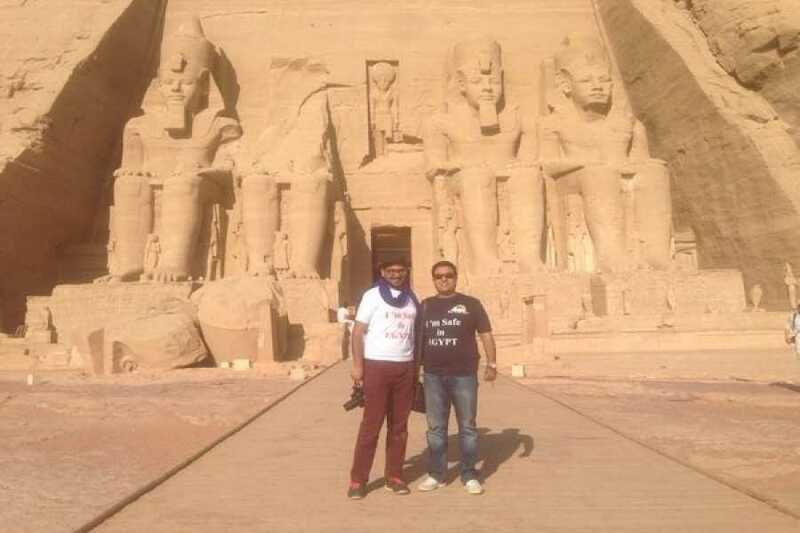 Around 4:00pm you will be transferred back to your hotel in Luxor or in Aswan if the customer intends to stay at Aswan instead of returning to Luxor.